Turn your enthusiasm for gaming into real-world tech skills! This course will provide you with the tools to create your own video games to play on the web or your smartphone. Put your gaming experience and imagination into action, ending up with an original creation that you can take home, play and show to family and friends. This is a class for all abilities and ages. The fundamentals covered in Video Game Design are a great first step into the world of coding. Students are introduced to object-oriented programming, and a behaviour-based logic system – applying behaviours and attributions, testing, debugging and fine-tuning products – that comprises a core component of computer science and is familiar to any programmer. 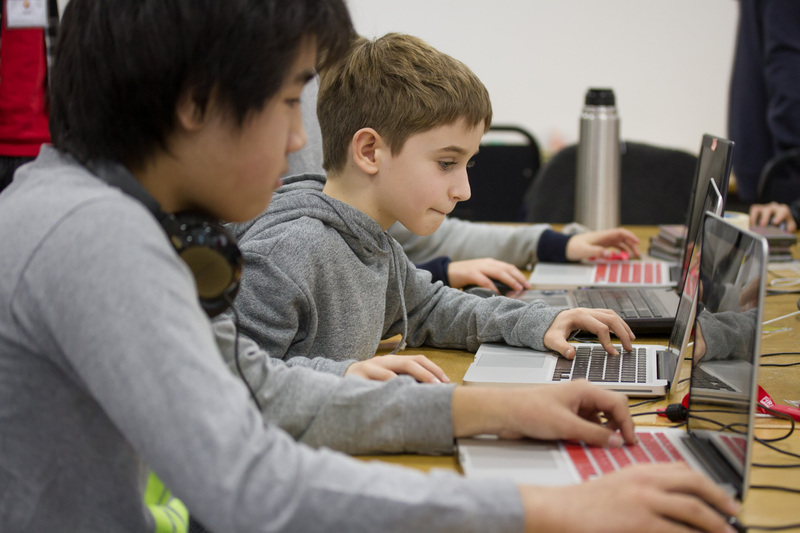 Our small group sizes with close guidance from tutors mean that students can move at the pace that best suits them while developing their games. This is a rich course and one of our most popular, and many kids take it more than once to take their skills even further. We use Construct 2 ® to develop games that you can play on any platform. It is free software, which means you can download it at home to keep your games developing alive after Fire Tech Camp is finished! Construct 2 ® makes it easy to get started, work with an impressive library of behaviours and attributes, and produce some great-looking final products. Q do you accept childcare vouchers as payment ? A Yes, we accept Childcare Vouchers from all major providers. A We have many students attending camp for whom English is not their first language and have coped well. Much of the material is very visual which helps a lot and many of our tutors speak multiple languages. However, some understanding of English is needed so if they have some basic understanding and your daughter is able to help fill in the gaps then they are welcome to attend. Q Can you just do couple of days? A The curriculum takes 5 days to cover and so to get the most from it, you would need to attend the full 5 days. The most important days are at the start where they are shown the fundamental skills they need so if you were to attend 2 days it would be the Monday and Tuesday. We are unable to pro-rate the price though so you would need to pay for the full week as we would be unable to offer the remaining 3 days to someone else. A My son will be just 13 at the time, and he is not a native English speaker, although he does talk and understand English. Is he suitable?